Even though the three of them live in a quiet Connecticut neighborhood, there's a lot going on in their lives. Stephanie wishes her father didn't have to work so far from home and she worries that Rachel's talents will get in the way of their friendship. 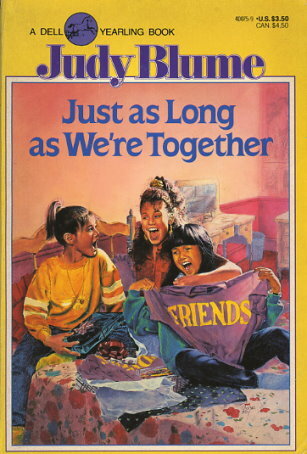 Rachel and Alison have to deal with the changes in their own lives, yet Stephanie is sure everything will work out fine -- "just as long as we're together...."